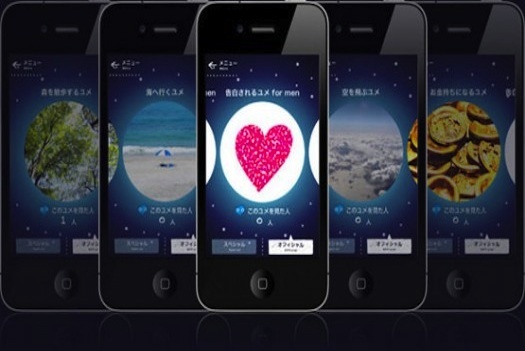 A Japanese smartphone app lets you maximize the time you spend every night sleeping. Yumemiru takes the self-help craze of the ’90s to new scientific heights by leveraging the bundle of sensors in your smartphone. The app utilizes microphones to detect when you’re in REM sleep, the point in the night when you begin dreaming and also the moment when you are most susceptible to suggestion. The free app has eight different scenarios to choose from, including a walk in the forest, getting rich, flying and for those romantically disposed, a scenario that stimulates dreams of love tailored for both men and women. After selecting the type of dream you want to drift off into, the app runs in the background and detects the time passed before you go into REM sleep. Once you have entered REM sleep, the soundtrack begins to stimulate your dreams. What strikes us as most interesting is the addition of friction-less sharing; encouraging users to share their dreams via social media is a nice way to get people’s dreams to stick with them throughout the day (ask any lucid dreamer! ), which is an age-old mind-hack that helps the dream ‘stick.’ It’s this feature that could be most useful for making this app a genuinely useful tool for innovative thinking.